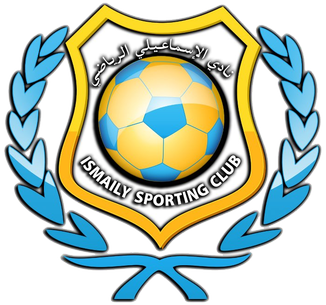 Ismaily SC has not submitted any formation. Cross by Amr Razek... into the clouds! Martin Adler lets taken away the ball. Header by Amr Razek... that was close. Martin Adler tries it with a strong shoot... but missed. Ali Mansour passes the ball towards the centre... but the opponent catches it. Miguel Paciencia tries to pass the ball to the strikers... but misses! Sherif Hamed passes the ball... and the ball is out. Sherif Hamed has the ball and sees his opponent in front of him... but he can win the tackling. Ali Mansour tries to pass the ball to the strikers... but misses! Miguel Paciencia kommt für Ado Petek. Umeko Asahara tritt den direkten Freistoß und trifft! Ado Petek has an injury and cannot continue playing anymore. Ali Mansour hits his opponent and gets the yellow card for that. Ali Mansour in a tackling... and looses it! Ado Petek runs towards his opponent and wins the tackling! Valentin Banguera has the ball and sees his opponent in front of him... and looses the tackling. Martin Adler shoots... but the goalkeeper can somehow catch it. Sherif Hamed tries it with a strong shoot... but missed. Cross by Martin Adler... into the clouds! Mohamed al-Hamuli tries to pass the ball to the strikers... but misses! Gerhardt Färber passes the ball towards the centre... but the opponent catches it. Benjss Sicard tries to pass the ball to the strikers... but misses! Cross by Mohamed al-Hamuli... into the clouds! Umeko Asahara passes the ball towards the centre... but the opponent catches it. Amr Razek passes the ball towards the centre... but the opponent catches it. Benjss Sicard in a tackling... and looses it! Ahmed El-Shenawy runs towards his opponent and wins the tackling! 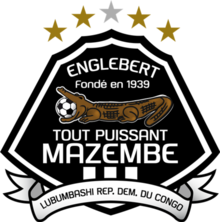 Tooor fur TP Mazembe! Umeko Asahara legt auf Martin Adler ab, der nur noch einschieben muss. Ramadan Fathy tries to pass the ball to the strikers... but misses! Freistoß für TP Mazembe! Umeko Asahara schießt, aber zu ungenau. Amr Razek hits his opponent and gets the yellow card for that. Amr Razek runs towards Benjss Sicard... and looses the ball. Ahmed Salem passes the ball towards the centre... but the opponent catches it. Amr Razek in a tackling... and wins it! Benjss Sicard passes the ball... and the ball is out. Amr Razek passes the ball... and the ball is out. Header by Martin Adler... that was close. Martin Adler in a tackling... and wins it! Bernd Butler shoots towards the goal... but into the arms of the goalkeeper! Martin Adler has the ball and sees his opponent in front of him... and looses the tackling.